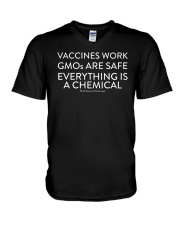 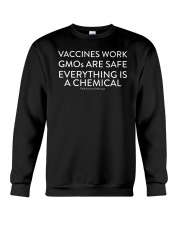 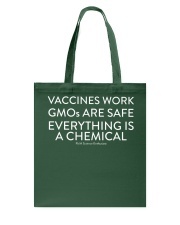 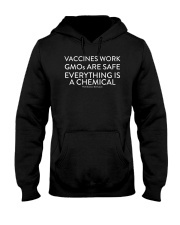 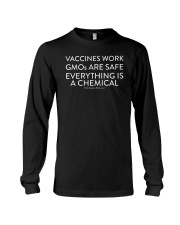 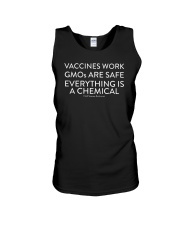 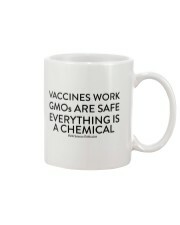 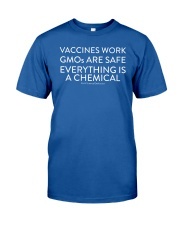 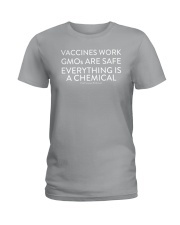 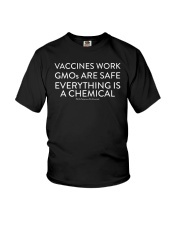 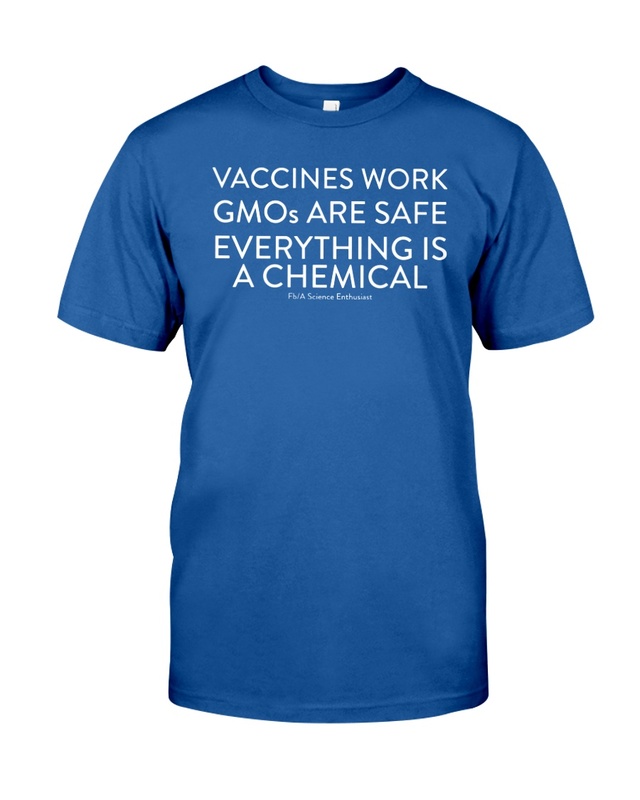 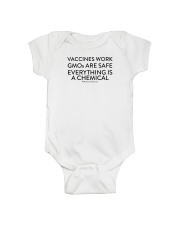 Vaccines work, GMOs are safe, and everything is a chemical! 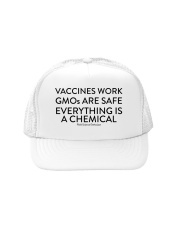 Evidence shows that vaccines are effective, GMOs do not have any additional inherent risk compared to "organic" crops, and all foods (ever) are comprised of chemicals. 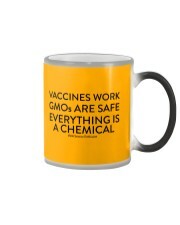 There is no credible evidence to the opposite. 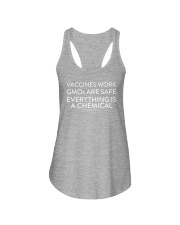 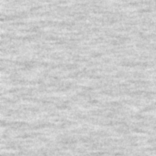 Please be aware that the tanks may run a bit large, and to double-check the sizing charts before ordering! 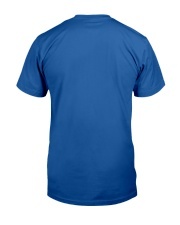 Many other shirt designs are available at our store!